2016 is not only the year that Nikon got its mojo back, but it is FujiFilm’s year to shine! Since the release announcement of the X-Pro2, X-E2s, X-70 and sweet new telephoto lens, the interwebs have been a buzz with excitement. I’m no different. I’ve been with the X-System for 3 years now when I got the X100s – still a goto camera for me. It’s been an omnipresent companion on all my family trips and events because of the size/ergonomics and of course phenomenal image quality & colour rendition from a crop sensor. I still love that camera and will never sell it. I’m totally stoked for the X-Pro2. The first version was a fantastic camera with its own quirks and quickly rose to cult status – as did the whole X-System really. While other manufacturers continue to pump out updated models, FujiFilm takes their time. They make their current products better with firmware updates. That immediately garnered my respect. Sure, lots of manufacturers fix up bugs in their products with firmware updates, but seldom if ever do they add new features. Instead, you must buy the updated release version to get them. I love FujiFilm! The X-Pro2 caught my attention because it is the long awaited update to the classic first version. I knew that Fuji would take their time, gain input from photographers who know and love their products, and then produce an amazing camera that people can’t wait to purchase. They have not disappointed! There are already several amazing reviews/first impression blogs & videos up now. As I haven’t actually seen or used the camera in real life I have nothing of value to add to the discussion. However, the features I’m most interested in are as follows. The first thing is that they’ve done a great job in making the camera weather resistant. The new Fujinon lenses will all be weather sealed too. This really puts the “Pro” in X-Pro2. I’m thinking of wedding photographers or landscape people or even travel documentary photographers. Having gear that can keep up to the elements is a must. Also hardware wise, I’m delighted to hear that it has dual SD card slots. This in my mind is another Pro feature. Whether for redundancy on critical wedding jobs or over flow or a JPEG/RAW workflow, this is an excellent feature to have. Glad they included a UHS-II slot too for fast data transfer. This will help immensely for buffer clearing, especially RAW files which will be bigger on the all new 24MP sensor. This is a welcome jump up from 16 in my books. FujiFilm colour and skin tones are absolutely incredible. And now with 24MP, you get more glorious pixels of both. And phenomenal high ISO performance as well. So exciting! Another feature I’m really excited about is the new ACROS black and white film simulation. I’m a huge fan of Fuji black and white straight out of camera. In fact, I almost never shoot my X100s in RAW. The JPEGs are so great and I love the colour so much I just go JPEG. Especially for black and white. But now to have a really punchy and contrasty black and white option in the ACROS film simulation, it’s all kicked up to notches unknown to mankind. I’m looking at you Leica Monochrom! It will be great to see how the new X-Trans sensor handles the B&W tonality. Another upgrade that may not seem like much is the sync speed for flash bumping up to 1/250s. This is awesome! I love using my X100s for flash stuff because of the leaf shutter and syncing capabilities it has. But to get that extra wee smidgeon of ambient killing power from 250 instead of 180 does help quite a bit. I’m dying to shoot the new X-Pro2 with some telephoto glass for portrait work. So far I’ve only ever shot the 23mm/35mm lens on the X100s. But if I could get the 90mm f/2 or the 56mm 1.2, I’d be a happy portraitist indeed. There’s a zillion other features about the X-Pro2 that others have already commented on and will continue to do in the weeks to come. The stuff I listed just scratches the surface of what will undoubtedly become another classic camera for Fuji. If you want one, get on the pre-order list ASAP. If you order from The Camera Store, they have a promo discount on the new 35mm f/2 lens as well. Congratulations FujiFilm! 2016 is your year to shine! 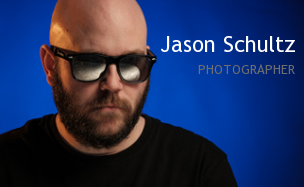 This entry was posted on January 21, 2016 by schultzphotographic. It was filed under Cameras, Uncategorized and was tagged with ACROS, Black and White, Features, Film Simulation, Flash, Flash Photography, FujiFilm, Hardware, Off Camera Flash, Photography, Preview, Saskatchewan, X-Pro2, X100s.